The 22nd annual MLS season will commence this Friday, beginning anew the march to a playoff berth for all 22 clubs. New to the 2017 season are Atlanta United and Minnesota United, the latest expansion teams looking to make an impact in the league. The season officially kicks off in Portland on Friday, but it will be Orlando City SC hosting the most expensive game during Week 1 of the season. Atlanta United, Portland Timbers, San Jose Earthquakes and Vancouver Whitecaps also find their way onto the top games list through the first week of play. The 2015 expansion teams will meet at Camping World Stadium on Sunday in what will be the most expensive game of Week 1. Orlando City is looking to improve after a lackadaisical sophomore year, where the club finished just 9-14-11. NYCFC clinched their first playoff berth in franchise history despite falling to Toronto FC in the Eastern Conference Semifinals. NYCFC tickets against Orlando City SC currently own a $156 average and $81 get-in price. Bobby Dodd Stadium will be the hosting site of Atlanta United home games this season, and the club's home opener against the Red Bulls is generating big demand on the resale market. As it stands now Sunday's game owns a $90 average on the resale market and a get-in price of $29. Despite being the second priciest MLS game this week, there is value to be on hand at the club's inaugural home match. Minnesota United FC is one of the two new franchises that will be joining the MLS in the league’s 22nd season, and Minnesota will head to Portland for the first game of the season. Portland striker Fanendo Adi and the 2015 MLS Cup champion Timbers look to bounce back from a disappointing 2016 campaign in which they missed the playoffs. Timbers tickets at Providence Park currently average $71 and the get-in price is $46, as the Timbers look to build on last season’s success at home. The Impact had a negative goal differential during the 2016 regular season, but finished fifth in the Eastern Conference standings and made the conference final. Meanwhile the Earthquakes, who enter their third season at Avaya Stadium, are attempting to make the MLS playoffs for the first time since 2012. Earthquakes tickets on TicketIQ currently starts from $36 each and average $94, as the teams meet for the only time this season. Rounding off Week 1 will be a meeting between the Whitecaps and Union at BC Place Stadium in Vancouver. The Whitecaps placed eighth in the Western Conference last season, missing the playoffs for the first time since 2013. The Union are coming a fifth consecutive MLS Cup Playoff appearance though fell to Toronto FC in the knockout round. 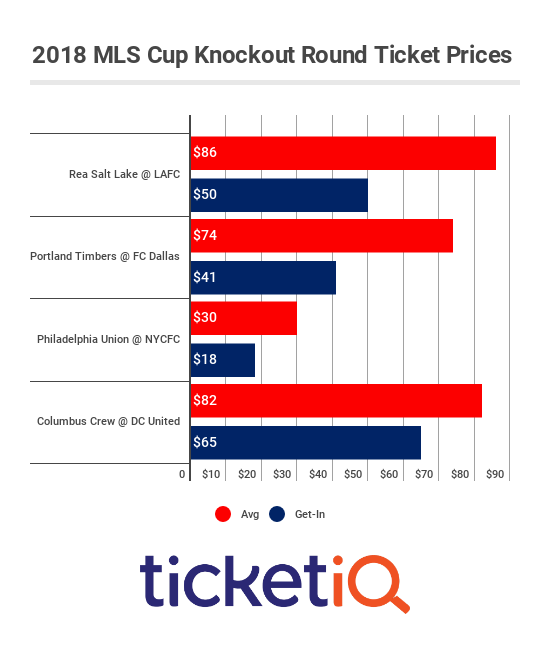 Union tickets against the Whitecaps currently average $65 and the cheapest available tickets are listed from $16 each.